Some people love Twitter and spend a lot of time on it. No matter which camp you are in, Twitter is an extremely popular site. Most of the misgivings people have with Twitter are because of their own lack of knowledge about how to engage on Twitter, how to connect with others, and how to use it effectively as a marketing medium. For many authors, they have a feeling that they should be on Twitter, they just don’t know exactly what they should be doing. If you didn’t see our post, 5 Things For Authors To Tweet About (That Aren’t “Buy My Book!”), you should check it out now. 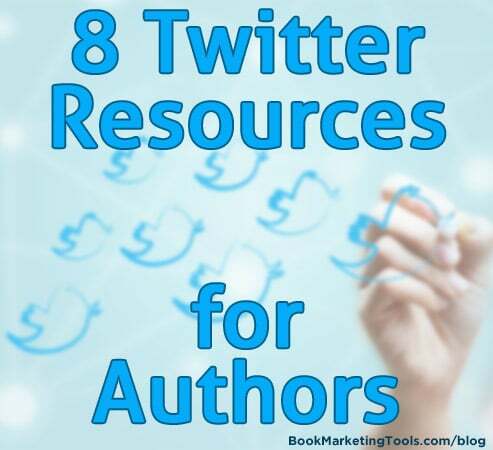 We have compiled a list of the top 8 resources and articles for authors to learn how to use Twitter effectively to sell more books and engage with readers better. This guest post from Marcy Kennedy over on TheBookDesigner, shows how to use the often under-utilized Twitter “list” function to make sense of your Twitter stream and dial into those connections with other writers, other industry figures, and most importantly, your readers. Jeff Bullas says, “Twitter in the right hands with the right plan and approach is a very sharp marketing tool.” He then goes and outlines a solid plan to help you to find an audience, set your goals, take steps to complete those goals, and measure the progress, all on Twitter. BiblioCrunch compiled a list of the tips that came out during one of their #indiechat sessions on Twitter. It features some great tips from fellow authors and Twitter users, including smart tips and best practices for building a solid author platform on Twitter. Mike McGrail over at Social Media Today compiled an outline for how to write an effective tweet. While not geared specifically towards authors, this is a useful set of tips for anyone using Twitter. Just because you can write a book, doesn’t mean you can write the most effective Tweet to sell the book, at least until you learn how to. BookBaby has a lot of great information on their blog for authors, and these simple Twitter tips are no exception. While a lot of these tips are covered in some of the other resources, it’s a great post to go back to, to ensure that you are taking care of the simple things. A great beginners guide to Twitter, geared towards indie authors specifically. If you want to know how to reach out and find your readers, as well as engage with them effectively, this is a great resource for you. Twitter previously had a section of their website geared directly to authors, helping them with great tips for engaging with readers. Unfortunately, Twitter has since removed that page, but luckily someone at the LA Times wrote an article about it and summarized those tips. Dana at The Write Life talks about how she uses Twitter to engage with her readers and build rapport with them, so that it makes selling your book to them easier. She points out that Twitter isn’t for selling books directly, but that you can still use Twitter to accomplish that end goal, even if you aren’t selling your books directly on Twitter. Twitter is a wonderful tool for self-published authors. 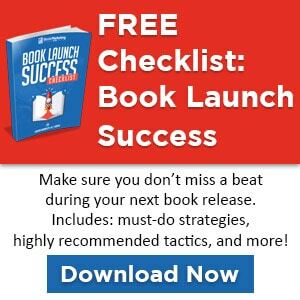 It allows you to have direct access to your readers and for your readers to have direct access to you. This is unprecedented in the history of publishing, so take advantage of this unique opportunity to reach out directly to your fans. Don’t abuse the privilege, but you can definitely make use of Twitter to increase your readership and sell more books! Use these resources listed above to dial in your Twitter work flow.